The 71st AFCCE Annual Meeting will take place in Atlanta, Thursday-Saturday, June 20 to June 22. Experience the sights of Mid-Town and Stone Mountain. Through the efforts of Jon Edwards, Mark Fehlig and Sterling Davis, we plan tours of the CNN Center, Turner Broadcasting, the Briarcliff Antenna Farm as well as tour Georgia Tech’s Amateur Radio Station, in addition to the business meetings. Thursday afternoon is the optional tour of the CNN Center, so plan to arrive Wednesday evening or early Thursday morning if you wish to participate. Friday afternoon is a planned tour of Turner Broadcasting, the Briarcliff Antenna Farm and Georgia Tech. Saturday afternoon, following the business meeting and lunch is left free for an optional visit to Stone Mountain. Plan to stay late if you want to see the light show. 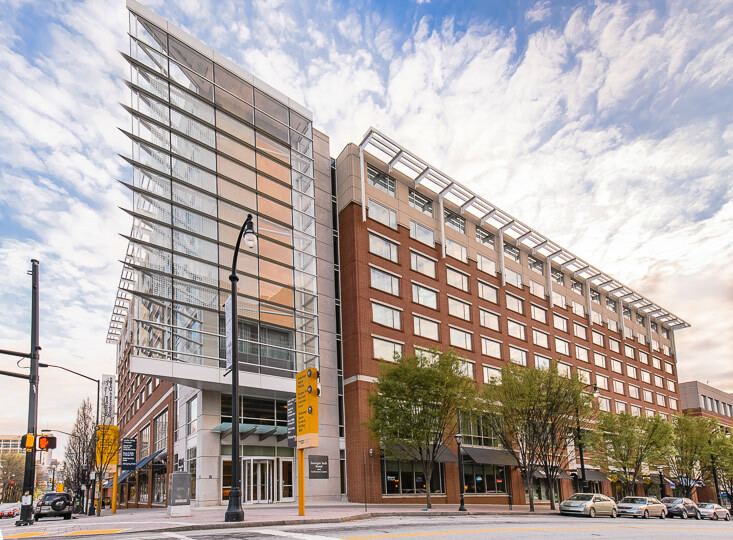 The venue for the meeting is the Georgia Tech Hotel and Conference Center located in Midtown. Midtown Atlanta, known as Atlanta’s “Heart of the Arts,” is bustling with art and energy. Midtown is also home to Fox Theatre, High Museum of Art, and Georgia Tech’s campus and more. 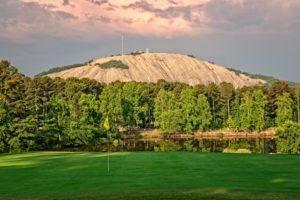 The hotel is a half-mile walk from Georgia Tech, five blocks from the Shoppes at AT&T Center, and a 30-minute drive to Stone Mountain where golf, hiking and a laser light show await you. MARTA (Atlanta’s rapid transit) connects the Hartsfield Airport to midtown and a 4 block walk to the Hotel. Additional information and itinerary will be sent closer to the date. Other nearby attractions are the World of Coca-Cola and the Georgia Aquarium, or shopping at Ponce City Market and Lenox Square. The registration deadline for the Annual Meeting is May 1. Register online for the meeting using the form below. Please make your hotel reservations here. A special hotel rate of $174 is available from the Georgia Tech Hotel. Book your hotel stay online here. The Hotel Booking Deadline for this rate is May 21. Non-smoking king bed accommodations have been blocked for our group. Please note that all guestrooms are non-smoking. For any other requests or inquiries, please enter this information within the appropriate request boxes during the reservations process or call the hotel directly by calling (800) 706-2899 Monday through Friday 9am-6:30pm. For any additional nights needed before or after the posted group dates, please contact the hotel directly to check availability. The link to the hotel group reservation is here. Click the + at the right to add more names.